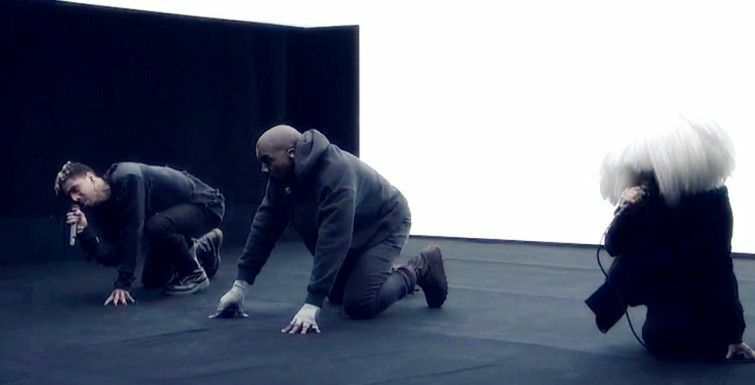 Yeezy fans are aflutter today after a reportedly ORIGINAL version of Kanye's 'Wolves'--featuring Sia and Vic Mensa, along with Frank Ocean, sprouted up online. Last year, Kanye performed 'Wolves' on SNL, and had Sia and Vic join him on stage; the two were absent from the version of The Life of Pablo Mr. West released this weekend. Kanye has gone on record as saying he's still "working on" TLOP as we speak, and even took if off sale to master it. Who knows if a new tweaked version of this original version, as well as an entirely new album, will be released at the end of the week. In the meantime, enjoy this soaring, goosebumps-inducing 'OG' cut below.